Kairi Hojo says goodbye to Stardom in an emotional night where her Artist of Stardom Titles are on the line against Queen’s Quest. 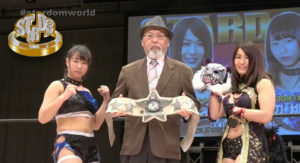 The new Artist of Stardom Champs, Queen’s Quest, takes on Jungle Kyona, Mayu Iwatani, and Yoko Bito in a very good night of wrestling from Stardom. 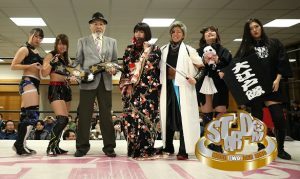 The vacant Artist of Stardom titles are put on the line in a match pitting a new lineup for the former champs Oedo Tai versus Queen’s Quest!